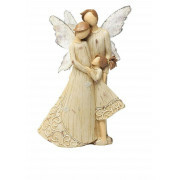 This Love Angel Family ornament from Mindy Brownes has been carved with the finest of detailing. 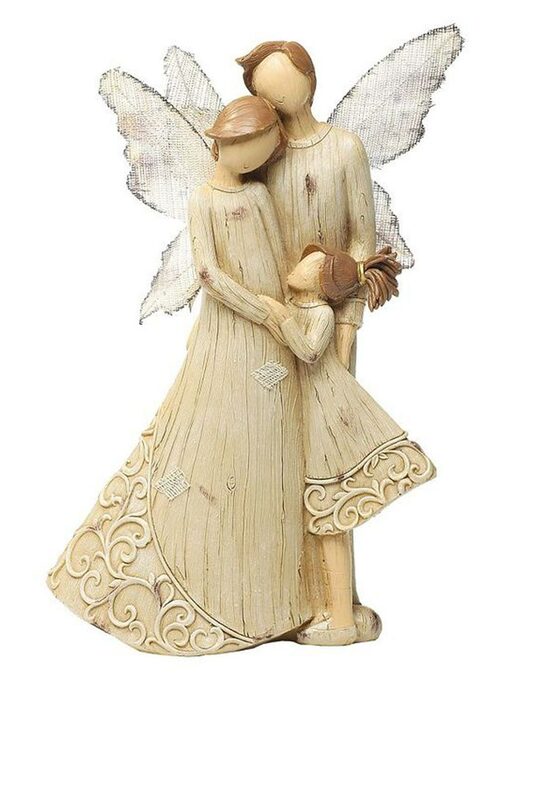 A man, women and young girl stand close together in the comfort and security that represent a close nit family. The lady and young girl both have matching embroidery detailing on the end of their dresses.